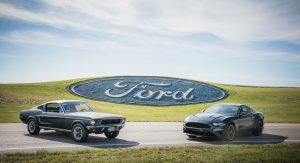 The very first 2019 Ford Mustang Bullitt has sold for $300,000 at Barrett-Jackson’s recently-concluded Scottsdale auction. 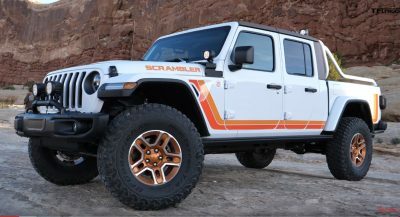 Fresh from its debut at the Detroit Auto Show last week, the auction raised valuable funds for the Boys Republic, a private all-boys school for troubled adolescents in California. The choice of Boys Republic as the recipient for the funds raised by the Bullitt auction is fitting as Steve McQueen actually attended the school and served as honorary chairman in 1966 and 1975. 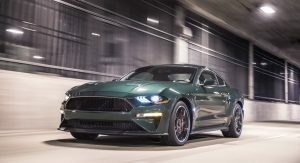 At this stage, no official pricing details for the 2019 Mustang Bullitt have been announced but this $300,000 price tag is sure to be well over triple the retail price. 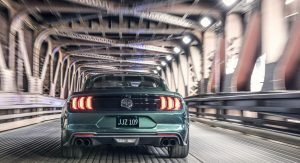 Making the 2019 Mustang Bullitt so desirable is the simple fact that it’s been designed as a homage to the Mustang used in the famous McQueen film Bullitt. 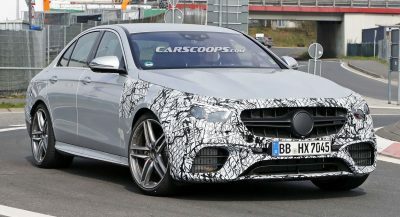 As such, the muscle car makes use of a Dark Highland Green paint scheme and features numerous chrome accents, including on the grille and windows. 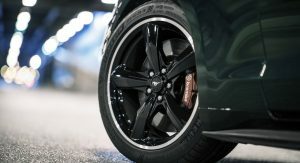 Additional bespoke parts include 19-inch wheels, red-painted Brembo brakes, and an active valve performance exhaust system with custom Black NitroPlate exhaust tips. 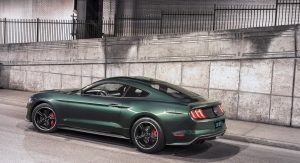 Powering the Bullitt is a 5.0-liter naturally-aspirated V8 engine just like the Mustang GT. 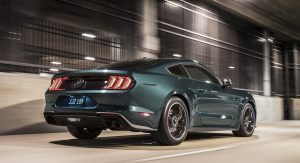 However, thanks to modifications including an Open Air Induction System and a Shelby GT350 intake manifold with 87 mm throttle bodies, the Bullitt delivers 475 hp and 420 lb-ft of torque. 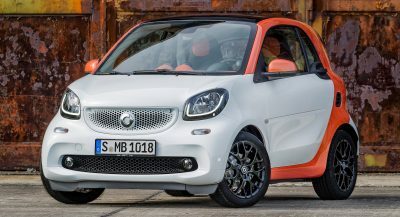 I like the charity that this car support, a lot of troubled young boys in the street and I hope that the charity will use the money for good effect. Also first ZR1 is sold for $950k also for charity, Corvette ones is supporting cancer research, so it’s equally noble. Ford GT also sold for charity at Barrett Jackson for 1.2 million I believe. $2,5 millions actually, that one is donated for autism causes.